Although both times I have easily found street parking, the studio does offer free valet. The entrance is on the second floor and there are two rooms—both with awesome prints on the wall. Unfortunately, my classes were both in the “Get Down” graffiti room, but I am looking forward to one day seeing the giant mutt in down dog in the other room. The studio has mat rentals for $2 and bottled water for $1 (learned that the hard way). 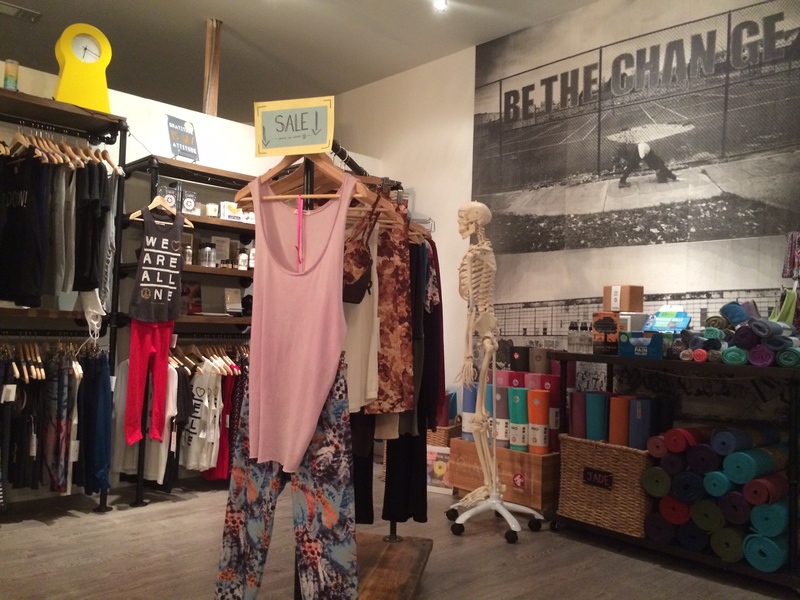 They also sell a variety of yoga clothing, mats, and juices. There is a small changing room in the lobby and the bathroom is around the corner—you’ll need a key as it is for the shopping center. Shoes go outside of the door and belongings in a cubby inside. 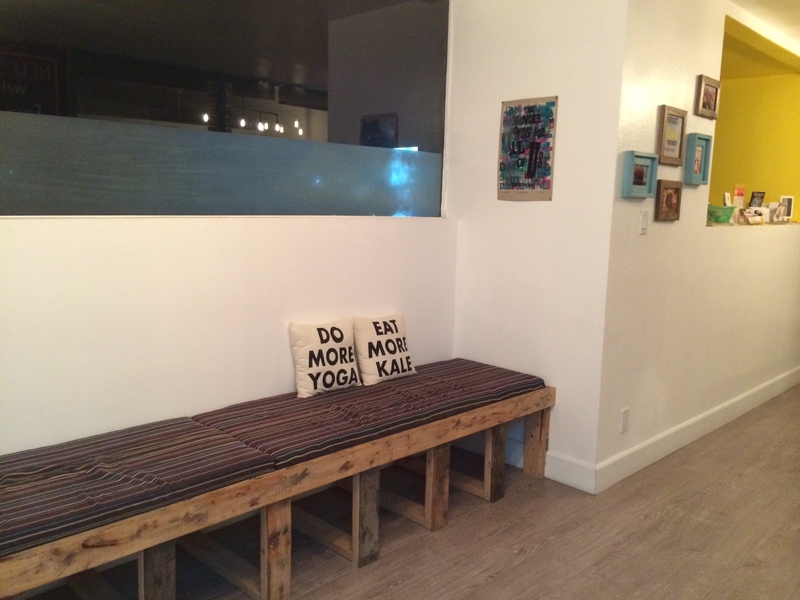 Chill was just like it sounds—a time to flow through a variety of basic yoga poses in a relaxed atmosphere. 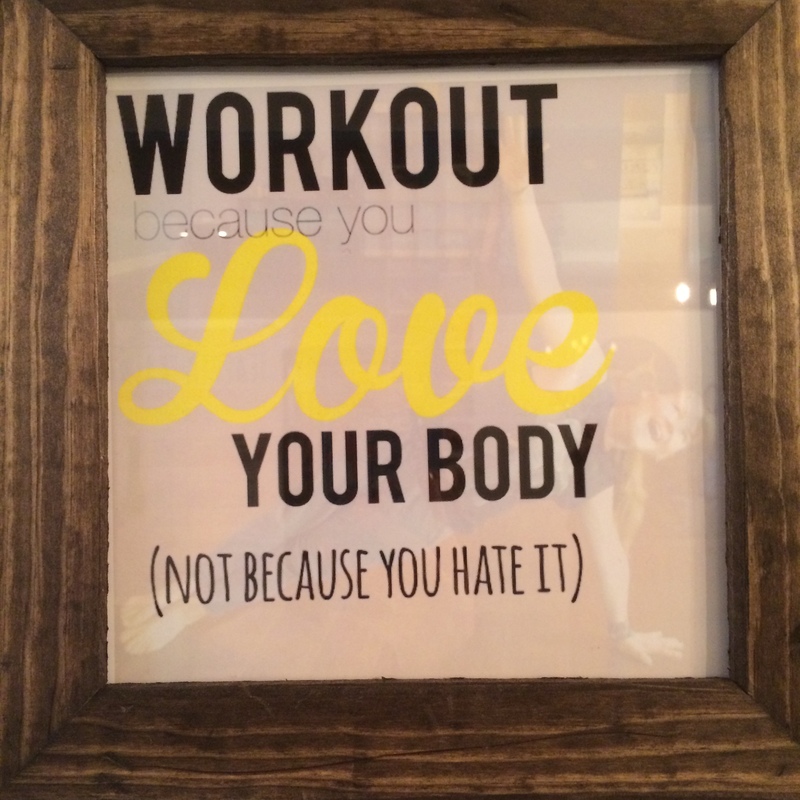 We slowly went through positions like warrior 1, 2, and 3, with downward dog and Chaturanga in between. 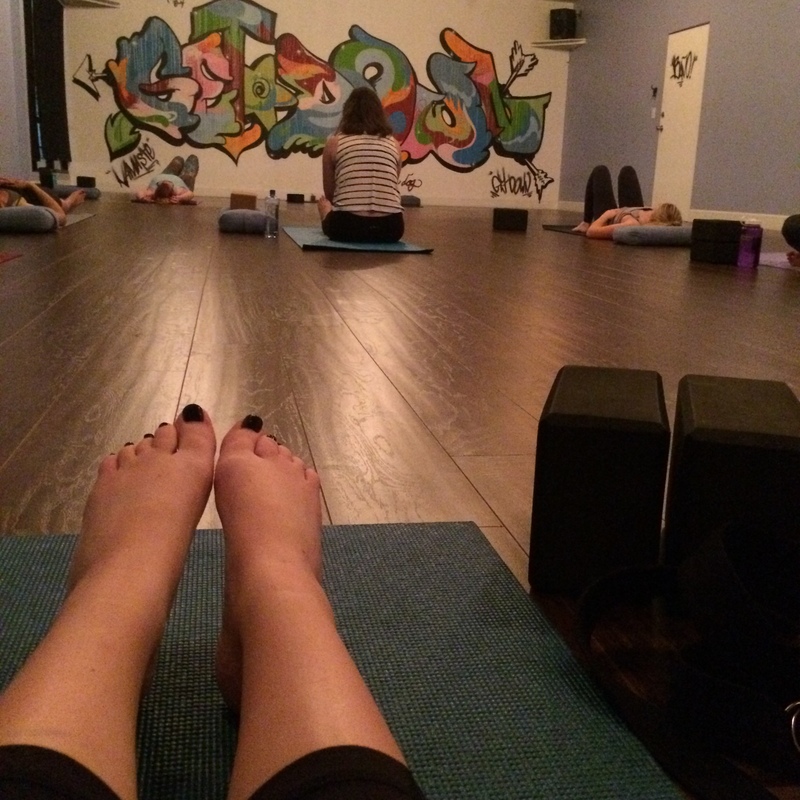 This class made me even more certain of the difficulty of yoga. Looking around I saw so many people who just nailed Chaturanga as I floppily sunk to the ground. This is something I need to work on!! Restore was probably one of the best hours of my life. I read about someone’s restorative yoga class on Instagram so I jumped at the opportunity to take one myself. For 60 minutes we used two pillows and a blanket to lie in the most comfortable positions. We spent about 8 minutes in each position focusing on our breathing, listening to the calming tunes, and trying to clear our mind. I’m pretty sure I heard someone snoring at one point. The instructor even came around a couple times with some essential oils. This is definitely a class that I will make a point to take either on Fridays to end my week or on Sundays to start anew. If you’ve never taken one, go sign up NOW! 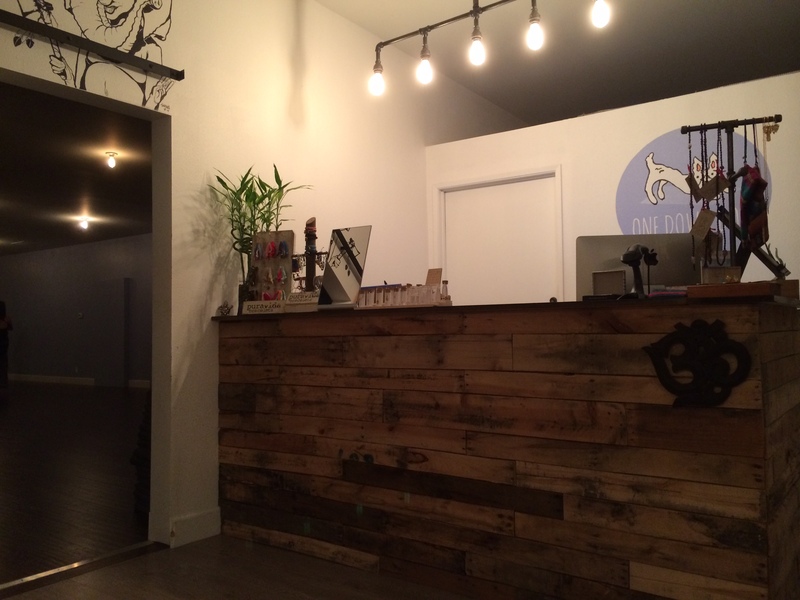 Right downstairs is a trendy looking vegan restaurant that got great reviews, My Vegan Gold. This place has an extensive Thai menu as well as American favorites like paninis and burgers. I’m not sure if it’s exactly branded as hot yoga, but the studio itself can get pretty toasty. Make sure you have water! The studio is super laid back and not judgmental. If you’re not a yogi, this is a great place to start. 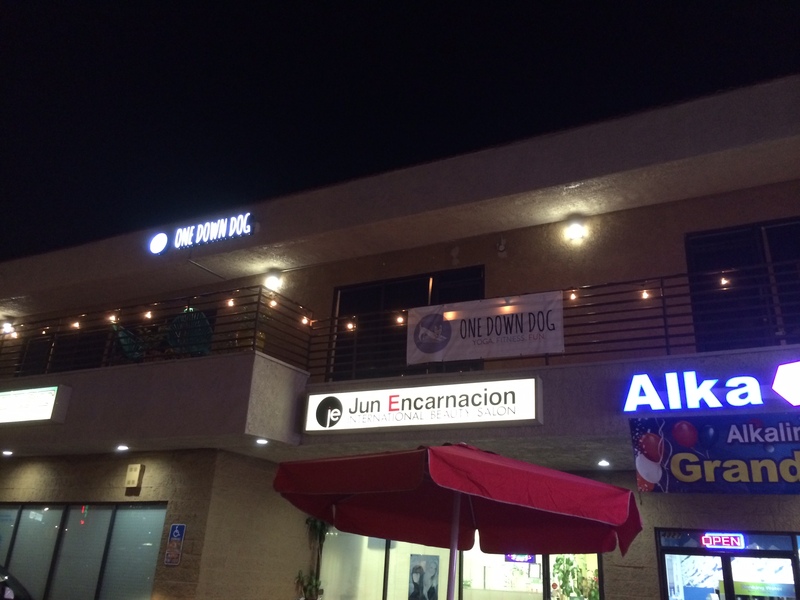 One Down Dog is working on another location in Eagle Rock, be on the look out!